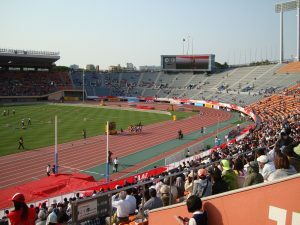 The 18th Summer Olympic Games was held in Tokyo in 1964. Operation of Shinkansen or bullet train, Tokyo monorail, Tokyo Metropolitan express highways were narrowly in time for the opening ceremony. Some first -class hotels also opened right before the Olympics started. Although these structures and buildings including the events’ gyms are still valuable and useful as tangible legacies, intangible legacies should be highly regarded too. They have some aspects but the most important point is that the Japanese have taken sports activities on their daily lives more and more since then. I believe that this legacy resulted in success of bringing the 2020 Olympics to Tokyo. I am a 59 year old man, born in Tokyo and graduated from a university in Tokyo. I worked for a leading paper wholesale company for 35 years and retired from it three years ago. 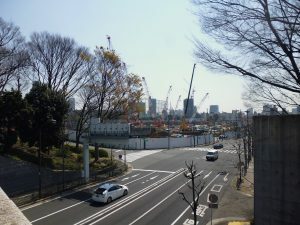 I am familiar with various things about both Tokyo and the Kanto area, such as historical sites, areas of scenic beauty, restaurants and so on. I want to make travelers from abroad fun by accompanying them. I would especially like to take them to various places where they are interested in, so I will provide guests with a customized tour after discussing a tour plan. Although I have several typical tour plans, the tour will become original one by making it with each other.